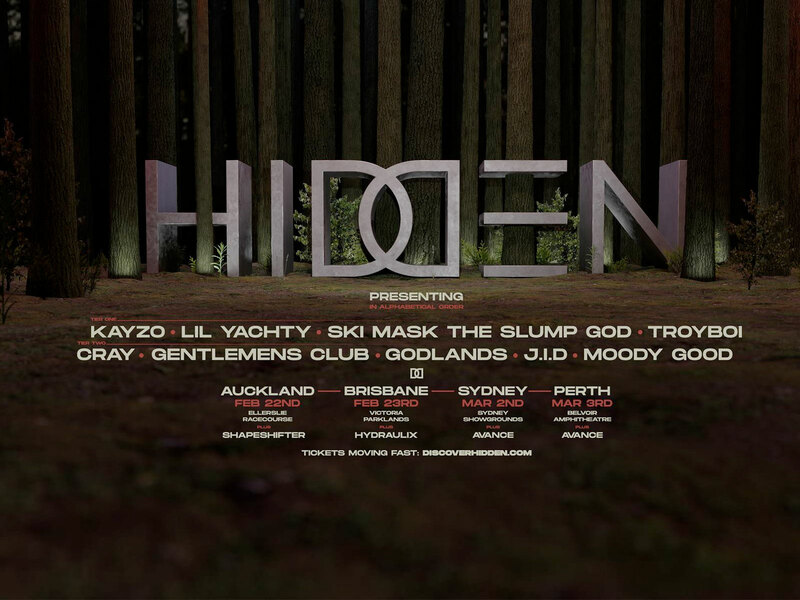 Adding to the already stacked Hidden 2019 lineup, elusive producer and Skrillexcollaborator MOODY GOOD will head to Australia for the first time ever, joining Lil Yachty, Kayzo, J.I.D and more. The Perth single-stage event Hidden announced last November its evolution into a national touring festival with dates in Sydney, Brisbane, Auckland and their forever home Perth. That came with the reveal of their mega line-up, including Lil Yachty, Kayzo as well as Florida rapper Ski Mask the Slump God, UK melodic trap icon Troyboi, J.Cole’s protégée and collaborator J.I.D, US electronica artist CRAY, dark dubstep trio Gentlemen’s Club and Adelaide’s trap goddess Godlands fulfilling it’s rap and bass requirements. Rounding out the lineup with Perth based future bass producer AVANCEjoining Hidden in Sydney and Perth with fan favourite and trap mainstay Hydraulix joining in the lineup in Brisbane. In recent years the Perth mainstay has pulled the likes of Wiley, Shockone and many more across its two years, with each year selling out. Taking on Auckland’s Ellerslie Racecourse, Sydney’s Showground, Brisbane’s Victoria Parklands and Perth’s Belvoir Amphitheatre, the 2019 edition is set to be its biggest yet. Get your tickets quick, with tickets moving fast around the country – don’t miss the Hidden experience. Perth – 3rd March 2019 – Belvoir Amphitheatre – Final release on-sale now!